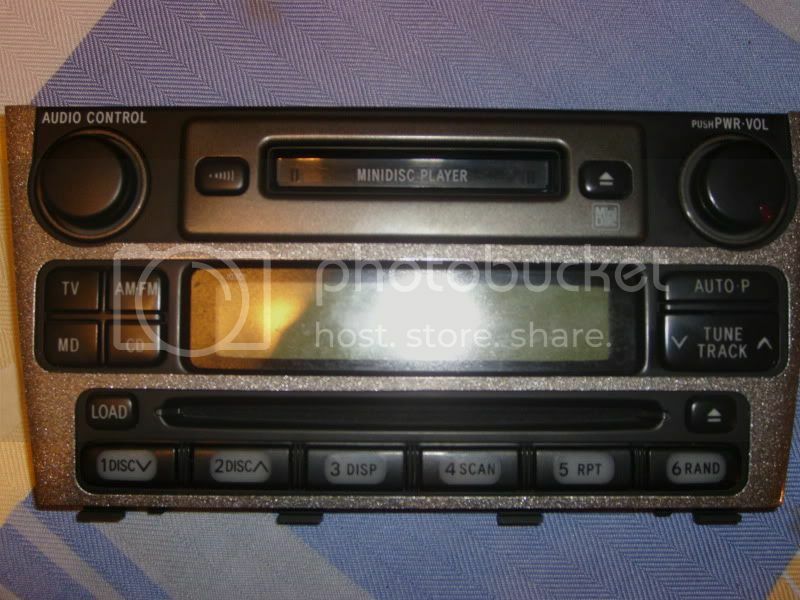 In my Altezza i have a mindisc/cd-changer radio with Error3 (pictured below). 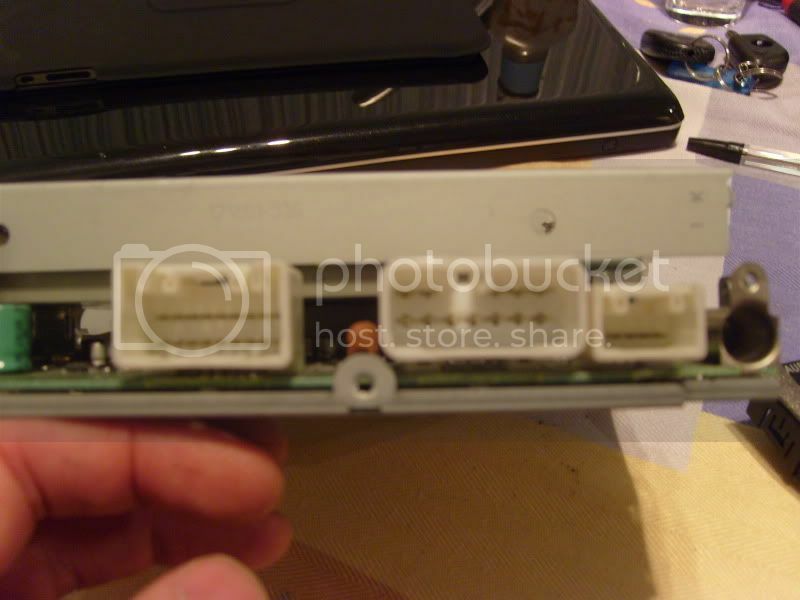 I am trying to fit a different cd player but do not know the pinout for this type of radio. 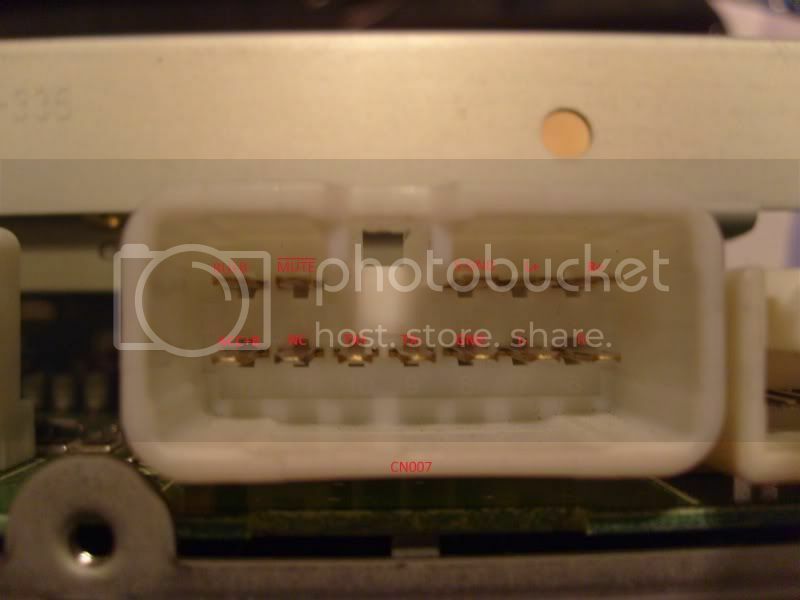 I have looked at the following post but the connectors are different. Anyone know the pinouts for this type of radio. it's dismantled in the picture's as i was checking if there were any cd's stuck in. Last edited by Adrian Eccles on Fri Mar 25, 2011 10:27 am, edited 1 time in total. So I have figured out the Pin-out for this radio and harness. Bearing this and the fact that I think the standard amp and speaker setup is pretty good in mind I decided rather than bypassing the standard amplifier I would use it and connect it to the line out from my aftermarket radio. Turns out it pretty easy to trigger the amp to turn on and off. My method was to connect the amp trigger output of the new head unit via a 2k resistor to the AMP+ pin on the radio harness. However you could connect this to a switched live. Maybe a resistor isn’t needed but I thought to be on the safe side and not short anything out I would test it with one, it worked so I didn’t remove it. For the radio to work you also need to supply +12v to the pin that provides power to the radio antenna amplifier (ANT+B). 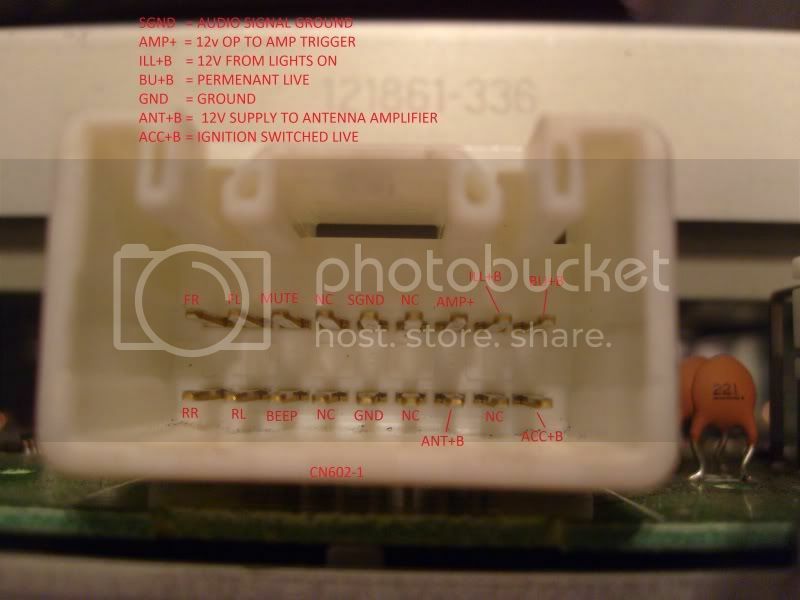 I connected this to the ant + connection on my aftermarket head unit however this could also be connected to a switched live. Are those pics of the factory head unit connections? Very handy to know what's what!! if only these radios wern't so faulty cos i think they are great when they are working. not many cars come with as good a radio as this. Hi, I know it's an old post. But does anyone of you know if the Altezza tv and navigation work in Europe/USA? And is it a closed system togheter with nav unit and screen? What happens if you push the tv button on the radio? I have a 2002 is200 and I know they have completely different audio/nav systems. Thanks to all of you that reply to this post.